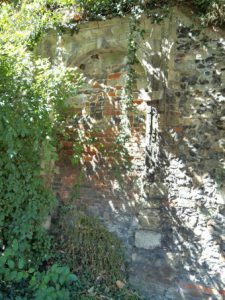 The first weekend in September will see the Society for Church Archaeology’s conference on ‘Church and Industry’ at Canterbury Christ Church. The university’s representative is Andy Seaman, who will be leading the tour of St Martin’s church and the site of St Augustine’s Abbey on the Saturday early evening. This will follow a day of lectures at Old Sessions House, including Gabor Thomas’ (University of Reading) assessment of industrial production at Anglo-Saxon Lyminge. Anglo-Saxon monasteries in Somerset will feature in the lectures of both Nancy Holinrake (Cardiff University) and Hugh Willmott (University of Warwick). 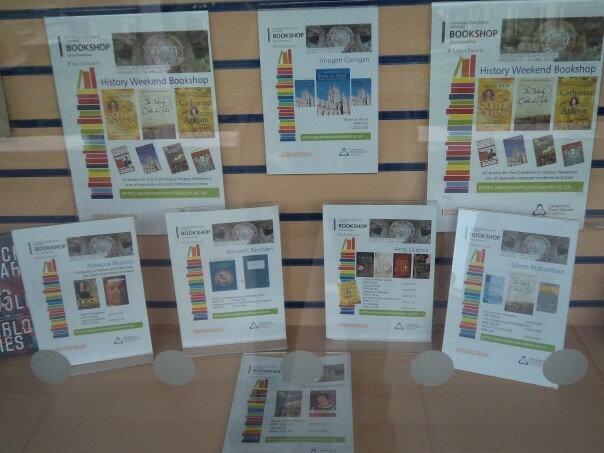 Nancy will be exploring industrial activity before the Conquest at Glastonbury and Carhampton, while Hugh will be examining glass production at Glastonbury and other monasteries. For those who arrive early on the Friday, a small group have the opportunity to visit the cathedral’s stonemasons’ yard under the guidance of Heather Newton, head of conservation at Canterbury Cathedral. As those who have read the blog in the past will know the cathedral stonemasons have been extremely busy over the last few months on the great south window, and they are now turning their attention to the nave. Other work after that will include Christ Church gate, that iconic early Tudor structure that marks the meeting place or boundary between cathedral and city. Also on Friday there will be an open lecture to be given by Professor Martin Biddle, a well-known expert on cathedrals and cathedral cities, who was at one point the archaeologist at Canterbury Cathedral. Indeed, that is the topic of his keynote lecture ‘Canterbury Cathedral archaeologist: a retrospective’ and the conference organisers hope that this will attract non-conference members of the public as well as delegates. 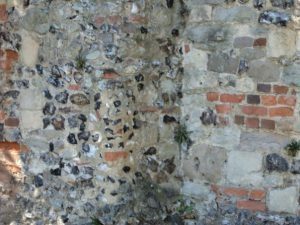 Sunday will bring a day-long excursion to Lyminge, Dover and Folkestone, and the latter venue will allow participants to find out about the joint Canterbury Christ Church and Folkestone project to uncover the early history of St Eanswythe led by Lesley Hardy, a history lecturer at Canterbury. 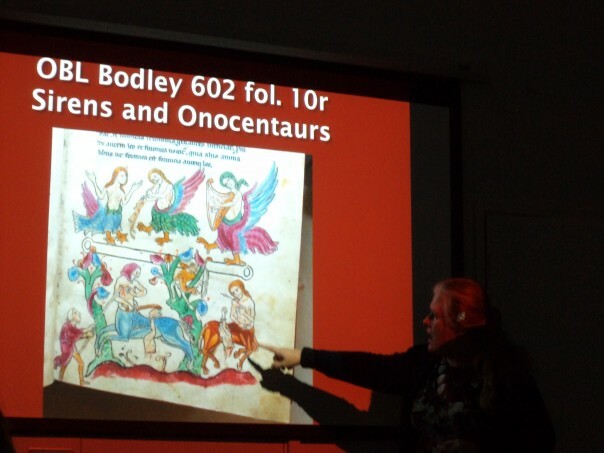 However, it is worth noting that early saints’ cults will also feature in Hilary Powell’s lecture at the ‘Early Medieval Kent’ conference on Saturday 10 September, such cults being the subject of her doctoral thesis and a topic she has expanded as part of her research on the Wellcome Trust-funded project ‘Hearing the Voice’. The number of delegates coming to the conference is now almost a hundred and it will be a great opportunity to showcase the value of Kent history for this crucial period of the county’s and country’s past. In addition, it is also worthwhile to draw your attention to the archaeological work that has been undertaken on the university’s main Canterbury campus. 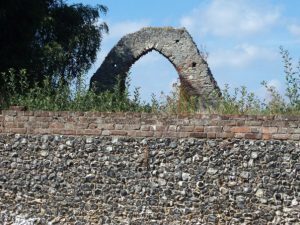 As noted above, Andy Seaman will be leading delegates around the ruins of the abbey church and claustral buildings, but following numerous archaeological excavations and other work much is now known about the outer precincts of St Augustine’s Abbey. Latterly many of these excavations have been led by Alison Hicks, a long-standing senior member of Canterbury Archaeological Trust, and through the Trust she has recently published a study of this area of the abbey: Destined to Serve: Use of the Outer Grounds of St Augustine’s Abbey, Canterbury, Before, During and After the Time of the Monks. Canterbury Christ Church University Excavations 1983-2007 covering the period from before the monks arrived to the time after the abbey’s dissolution, although the key period is the monks’ occupation of the site. Where this could have fed into the ‘Church and Industry’ conference relates primarily to her assessment of the evidence concerning craft working. As she notes, the hundreds of Anglo-Saxon pits and other features, some containing ironworking debris, points strongly towards industrial-scale craft production on the site, and such goods are likely to have been made for the monastic community, and those beyond the precincts; the fruits of trade enhancing the monastic and broader economy. Thus for new students who will be arriving within the next month, their university is an extremely important historical site. Not only was it the home of one of the premier monastic communities of England and medieval Christendom more widely, but its outer precincts – the university’s campus – housed the cellarer’s range, the brewhouse-bakehouse complex, and also this important industrial site. Although much of the evidence for these activities comes from below ground archaeology, walking around the campus still offers tantalising glimpses of this ancient past, something that is also true of Canterbury and Kent more broadly.